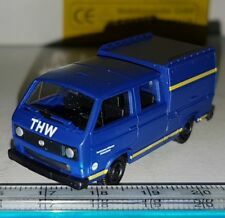 ROCO - VW T3 VAN DOKA THW - 1:87. MADE IN AUSTRIA - ECHELLE 1/87 HO - OCCASION. NO SE TRATA DE UN JUGUETE, IDEAL PARA COLECCIONADORES Y DIORAMAS/MAQUETAS. 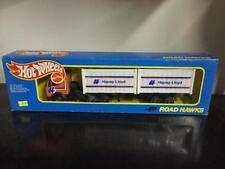 This product is a set of car toys, including 12 small size cars. Designed as truck vehicle with cool apperance, very popular among children. The perfect gift for a children or gift collector. 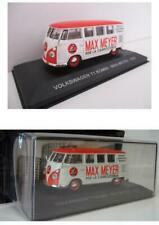 - High quality alloy toy vehicles. Les camions français de CORGI (4 pages). La VW-PORSCHE Type 914 (6 pages). La CHEVROLET Corvette 5. Les LOTUS 49 & 49B de Quartzo au 1/18. e (3 pages). Gros plan La peinture à l’huile (suite et fin). New box showcase. Italian Publicity Box Collection. PRODUTTORE/MANUFATCURER: Autocult. Original Scale Model (in new conditions mint boxed). (Schuco 25471 SET VW RACE TOUAREG2 CAMION RED BULL. diversi colori o diversi personaggi dello stesso soggetto). 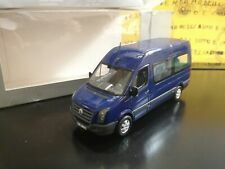 VW T1 Flatbed Double cabin Piccolo. As in the 1957 the first 12 models made of of the Schuco Piccolo range will be presented are, ahnte wohl niemand that these remarkable models – even after more than 50 years – Still Enjoy high popularity.